Electrical Engineering class of '17 @uWaterloo. Currently I work as a full time Software engineer at Shopify residing in Toronto, Ontario. I love to code specifically in Ruby, GO, Java, C# and python. The problems I love solving involve mostly backend development. Currently I am attempting to learn systems architecture and high level architecture design of software along with learning about management principles. Outside of work you can find me running, cooking or making music with synthesizers and guitars. When championing experimental projects that are of high visibility there are several things to watch out for. The first being who you are taking on as stakeholders. It is extremely important that whoever you take on as stakeholder has a clearly defined and strong sense of understanding on how they are contributing to a project. Often times we can get lost in the glamour assosciated with a project, attracting a lot of unnecessary attention that can only slow down people's productivity. This pretty much applies to life in general, while recognition and glamour are attractive, they do nothing but give us instant gratification and slow down the process of learning and doing. Recognition as a means of feedback however is a wonderful way to increase someones confidence and productivity. 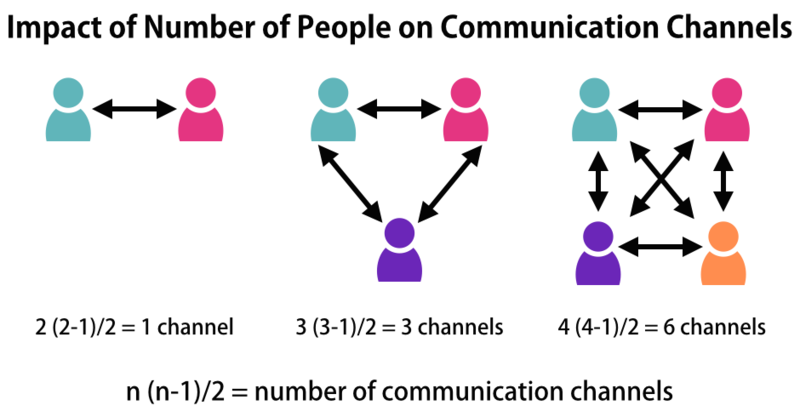 In a project you can account for number of hours being spent on it and equate that with business needs by doing simple calculations on $$$ spent vs. potential of profit, it is much more difficult to account for the time wasted in context switching and time spent when the number of communication channels are too many. All of these issues are highly likely when a project has too many people. Note: While, I am not a big proponent of micro-management and excruciatingly noting down hours spent on something, I still think a small estimation as a guiding light is important at the beginning of a project. What am I working on atm?